Investing in a quality water bottle that is suitable for your style of traveling will leave you ahead of the game—and ultimately a happy and hydrated traveler! Depending on where your travels will lead you, access to clean drinking water can become a problem—but one that is easily avoidable if you are well prepared. It’s something you might take for granted if you live in the Western World, but staying well hydrated is something you want to keep on top of especially when exploring in developing countries. Speak to any avid traveler and they will tell you the advantages of traveling far outweigh the disadvantages, however there are still plenty of notable down sides! Dehydration is pretty common as it’s very easy to get caught up in the thrill of traveling and forget about regularly drinking water. Dehydration has a huge effect on the body and mind and can lead to drops in energy and mood, headaches, lack of concentration, not to mention that horrible dry throat feeling. Studies show that by the time you have reached the point of a dry throat, you’re actually past the first stage of dehydration. Therefore you should be re-hydrating well before this point. Having a reliable water bottle on hand is vital if you want to be traveling in comfort and staying alert along the way. The most notable factor you want to consider when choosing the right water bottle for traveling is size and capacity. Be logical—you don’t want to carry around 10 liters on your back for fear of having no access to water at your next destination. Take into consideration where you are heading and do your research before you go. Think about the quality and availability of water in that particular country. If you’re traveling from airport to airport, even in the most third world countries, there’s almost always going to be bottled water available as back-up. Your physical build and fitness level – How much weight can you allocate for water to carry in your backpack on top of the weight of the rest of your belongings? Access – Are you carrying a backpack for a long period of time without taking it off? Perhaps you need a water bag instead of a bottle? How reliable is the lid on the bottle? Think about how much your bag will be thrown around throughout your travels-can the lid easily be bumped and spill water on your valuables? The quality of drinking water available – That’s where water bottles with in-built filtration systems really stand out. When used correctly, the filter is able to remove up to 99.9% of impurities. None, zilch, zero-an all good wrap for the BPA free drink bottle! 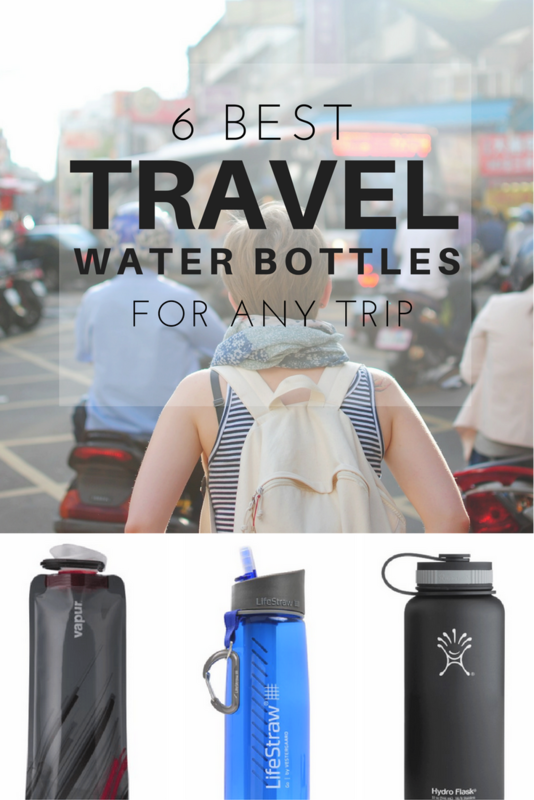 Now that you know exactly what to look for when choosing which water bottle to buy I’ve put together what I think are the best water bottles for travel. I’ve included a variety of different types and a short review for each bottle to help you choose the right bottle for any kind of trip. LifeStraw has stepped onto the market with this award winning technology and was initially designed to assist in emergency situations in developing countries. Given its success it is now available to the public and is a highly reliable and well-tested water bottle ideal for hydrating safely. This is the perfect bottle for those wishing to travel to third world countries where drinking sources are less than ordinary. Hydro Flask water bottles are best suited for those that travel regularly and want to invest in a top quality water bottle that comes with a lifetime warranty. Priced at the high end of the scale as far as water bottles go, you can see where the designers really spent their money on material! This bottle is insulated and works incredibly well. You can keep your hot drinks hot for up to 12 hours or cold drinks icy fresh for 24 hours for those scorching summer days. 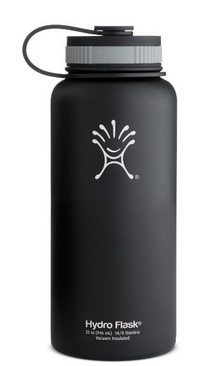 As the name suggests, this water bottle is for the ultimate nomad who loves to find themselves off the beaten trail. It’s incredibly durable and shatterproof, meaning it can be thrown around and dropped without worry of breaking. The collapsible feature makes it great for storing in confined spaces and has the ability to store hot or cold beverages! Another great feature is the sipper bottle for convenience. 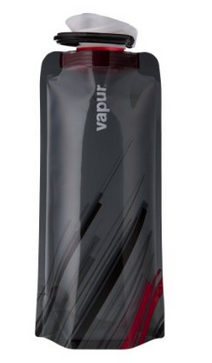 The Vapur Element water bottle is great for those that only travel from time to time and is very affordable. With it’s unique design and square bottom, it stands easily when full of water and allows enough room at the top to add ice cubes. It’s probably not the best option for long-term use as the material is very lightweight. It is useful however for squeezing into compact spaces as it collapses down. 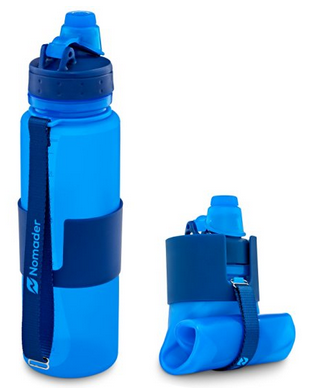 Another water bottle for the regular traveler due to its durability. It features vacuum insulation keeping cold drinks cold for up to 24 hours and hot drinks heated for up to 6 hours. 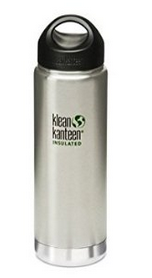 Klean Kanteen bottles are known for their 100% stainless steel bottles not affecting the taste of the water contained within. It wouldn’t really be the pick for someone on the go however as it can be quite inconvenient to unscrew the top. If you’re not fussed on quality or any fancy filters or insulation then the Nalgene On The Fly bottle is a great and simple choice. If you enjoy outdoor activities I’m sure you can remember the old school Nalgene bottles that were around in the ’90s. Well, same great brand, new design. 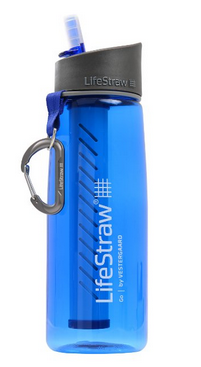 It’s BPA free and features a locking bale that guarantees leak-free performance. “On the Fly” most likely refers to its quick one-handed use great for hydration while on-the-go. It’s a low maintenance bottle and a popular option on the market. Again, when choosing which water bottle to buy it’s best to consider all the factors of where you are traveling to. Really visualize the type of places you’ll be traveling around, overall access to water, how much water you want to carry around on day trips, and whether you’ve packed everything into a short period of time or are one for more of a relaxed itinerary. All of these factors will play a huge part in what is the best water bottle to look for—and after all adequate hydration is life or death! Just ask any renowned explorer! Have you actually used any of these bottles? I was interested initially but feel like I just wasted my time reading recycled press releases.